A diode is a semi-conducting device that allows current to pass in only one direction. It is often referred to as a rectifier because it "rectifies" AC current by changing it to pulsating DC current. 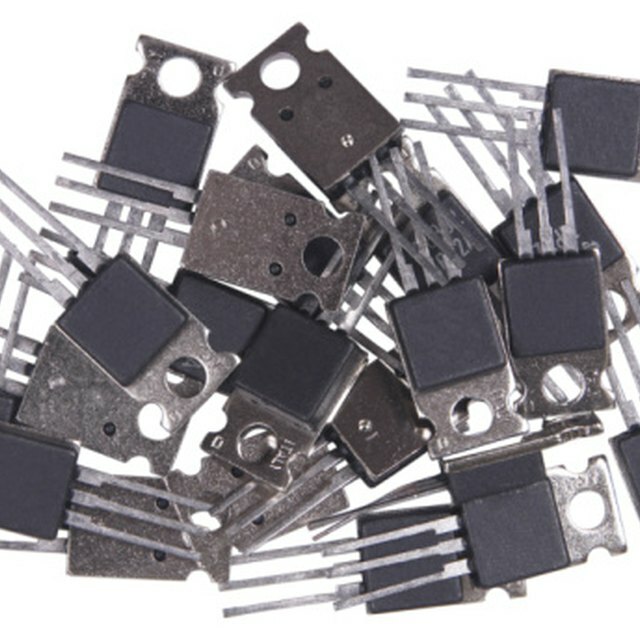 Diodes are common in the circuitry of home appliances, such as microwave ovens. A microwave diode works in conjunction with a capacitor to double the voltage of the transformer that supplies power to the magnetron, which is the component that generates the microwave radiation. In circuit diagrams, the diode symbol is a triangle superimposed on a line, and the apex of the triangle points in the direction of current flow. If the diode is working, very little current – ideally none at all – flows in the opposite direction. The end of the diode toward which the triangle points is the negative terminal, or cathode, while the opposite end is the positive terminal, or anode. It's important to pay attention to diode polarity because it won't work if installed backwards in the circuit. When the current passing through a diode exceeds the diode's rating, it can short out, and the diode will no longer block current flowing in the reverse direction. The circuit inside a diode can also open due to age or deterioration, and when that happens, the diode won't pass current in either direction. In both cases, the diode is bad and needs to be replaced. You can test it with a multimeter. You can use one of two methods to test a diode. If you have a meter with a diode test function, you can use that. Otherwise, you can set the meter to measure resistance. If your multimeter has a diode function, one of the dial settings will have a marking similar to the diode symbol. When you select this setting, a voltage exists between the meter leads, and when you touch them to the diode terminals, the meter records the voltage drop. In the forward direction, the voltage drop is usually in the neighborhood of 0.5 to 0.8 volts. In the reverse direction, no current flows, so the meter either records 0 or OL, which stands for open loop. 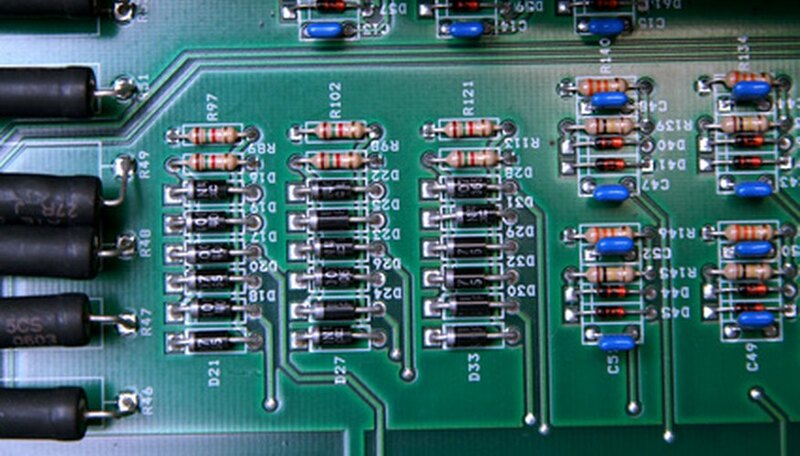 To conduct the test, you must first make sure the circuit is unplugged and that all capacitors in the circuit have been discharged. As long as you do this, you do not need to remove the diode from the circuit. Start by touching the negative meter lead, which is usually the black one, to the diode's cathode, and the positive lead (red) to the anode. Note the meter reading, which should be between 0.5 and 0.8 volts. If it's close to 0, the diode is bad. Now reverse the leads. The diode is good if you get a reading of 0 or OL. If you get roughly the same voltage reading, the diode has shorted and isn't working. When conducting a resistance test, you must remove the diode from the circuit. Before you do this, disconnect power and discharge any capacitors in the circuit. This is especially important when testing a microwave diode because the high voltage capacitor in a microwave can give you a serious shock. Set the multimeter to measure resistance (Ω) and touch the black lead (negative) to the cathode and the red lead (positive) to the anode. In this configuration, the diode is forward-biased, and you should get a resistance reading between 1 KΩ and 10 MΩ. Now switch the leads to the opposite terminals. The diode is now reverse-biased, and the reading should be infinity or OL. If the readings are the same in both directions, the diode is bad. Fluke: What Is a Diode? Deziel, Chris. "How to Test a Diode Rectifier." Sciencing, https://sciencing.com/test-diode-rectifier-7378447.html. 26 November 2018.